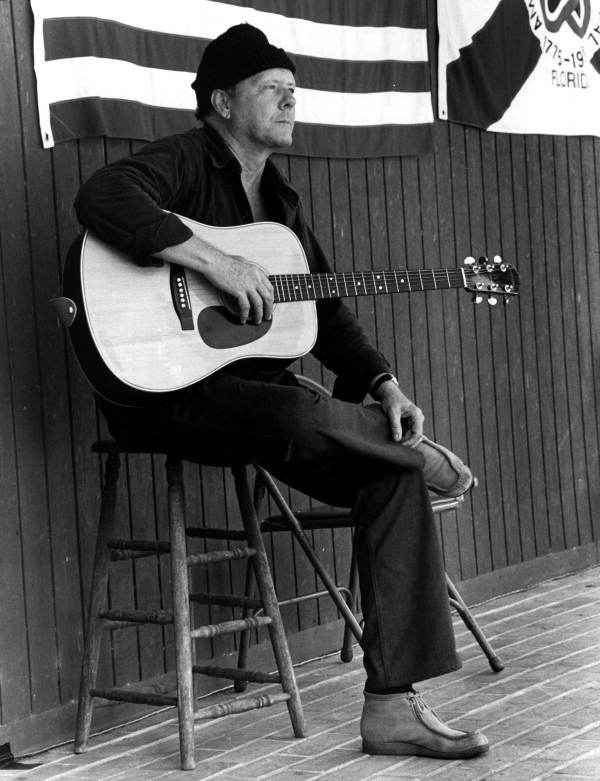 The music of Will McLean has been recorded and performed by dozens of artists, proving “The Father of Florida Folk” was not just a nickname for this prolific songwriter. His classic portrayals of Florida’s people and landscapes through songs such as “Seminole,” “Osceola’s Last Words,” and “Florida Sand” are still sung today, and every year, festival participants gather on the main stage for a grand finale of “Hold Back the Waters” to close out the Florida Folk Festival. Born near Chipley, McLean spent his life traveling and writing songs inspired by his experiences in and love for the Sunshine State. He wrote his first song, “Away O’ee,” at the age of six, and went on to compose over 3,000 more songs and stories before his death in 1990. Will McLean received the Florida Folk Heritage Award in 1989, and in 1996 he was inducted into the Florida Artist Hall of Fame. His legacy continues through the Will McLean Foundation as well as an annual folk festival bearing his name. The Florida Folklife Collection contains thousands of audio recordings from the 1930s to the present. These recordings include festival performances, fieldwork and radio programming from across the state. Every month focuses on an artist, genre, tradition or event in our monthly podcast series. Please enjoy this month’s podcast featuring highlights from Will McLean’s appearances at the Florida Folk Festival. It’s amazing how well some people know the background of where they live or came from. It’s really great that they appreciate it and even pay homage to it as well. Florida folk has a lot to offer as far as teaching and urban legend goes. I’d love to hear/see some of the stories.